Holme Bank was the last of two operational chert mines in Derbyshire the other being the Pretoria Mine, both at Bakewell. Pretoria opened in 1902. 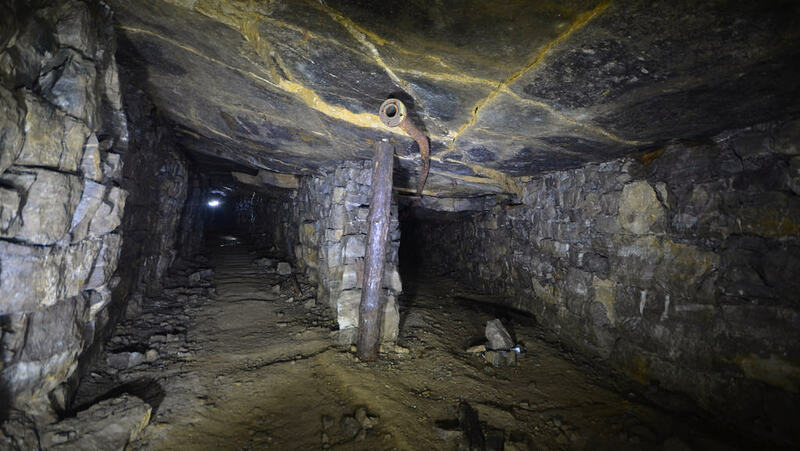 Access was from adits in a quarry at Bank Top and the steep workings extended beneath the road to connect with the earlier Greenfield shaft. The chert bed lies on a 1 in 3.7 gradient and the mine was subject to flooding in severe winters. 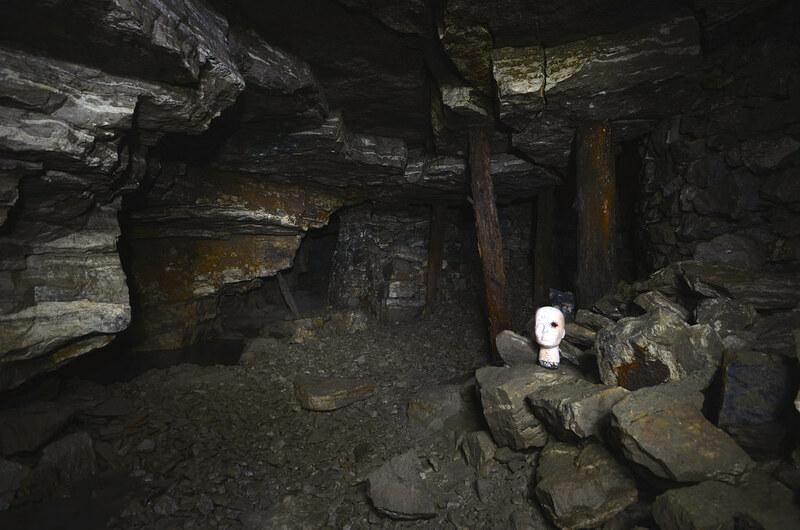 Illumination was by mains electricity in addition to carbide lamps carried by the miners. Chert is a form of fine-grained, flinty silica most commonly found in veins in the uppermost beds of a limestone sequence. Chert was worked into tools in prehistoric times, easily shaped by chipping off flakes to produce sharp edges. The most useful role for chert was recognised about two centuries ago for the grinding of calcined flint, used as a whitening agent in earthenware manufacture. In 1772 the potter Josiah Wedgwood recommended Derbyshire chert as a major improvement over granite millstones, which left annoying black specks in the pure white flint. The chert bed was on average 9 ft (2.7 m) thick, though up to 18 ft (5.5 m) in places. It was extracted by removing the underlying limestone so that the chert fell under its own weight. A hoist powered by compressed air loaded it onto flat wagons, drawn to the surface by compressed air winches along a 1 ft 6 in (46 cm) gauge railway. The ‘waste’ limestone was built up into substantial roof supports. 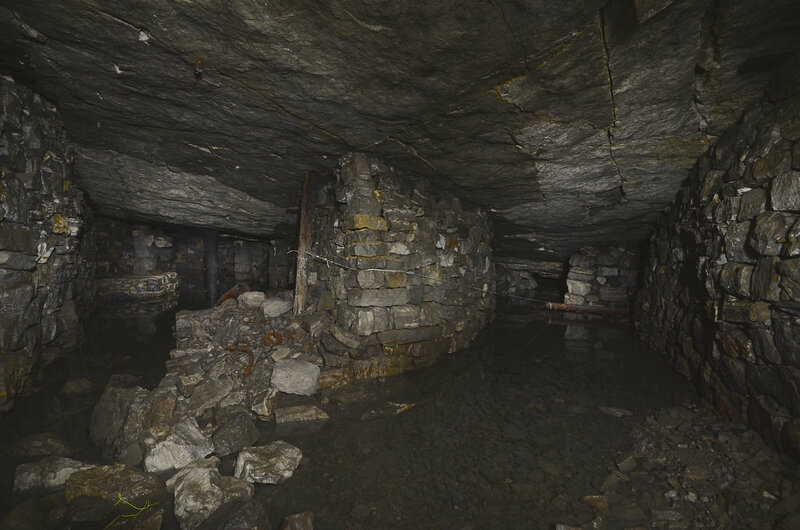 Early 19th-century extraction at Holme Bank was from quarries but commercial mining was in place by 1867, when the site was known as Bakewell Chert Mine. 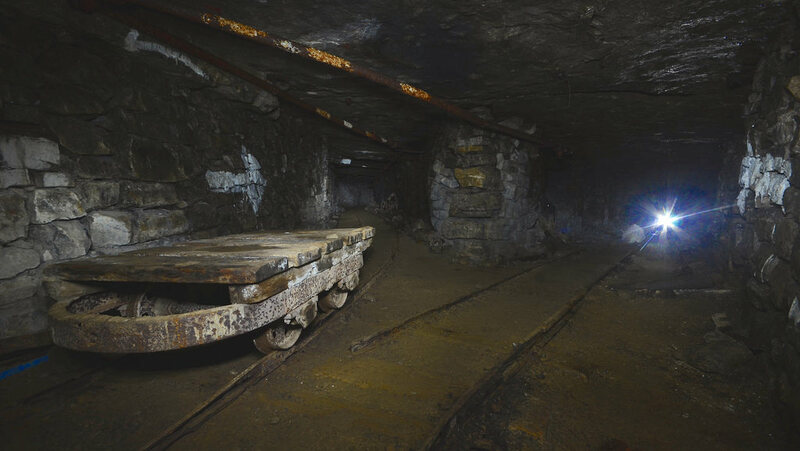 Later it was also referred to as Smith's Mine, after the owner. The workings consisted of an extensive system of passages with eight entrances. In 1925, 41 men were employed but 20 years later only 21 were at work. Approximately half worked underground. 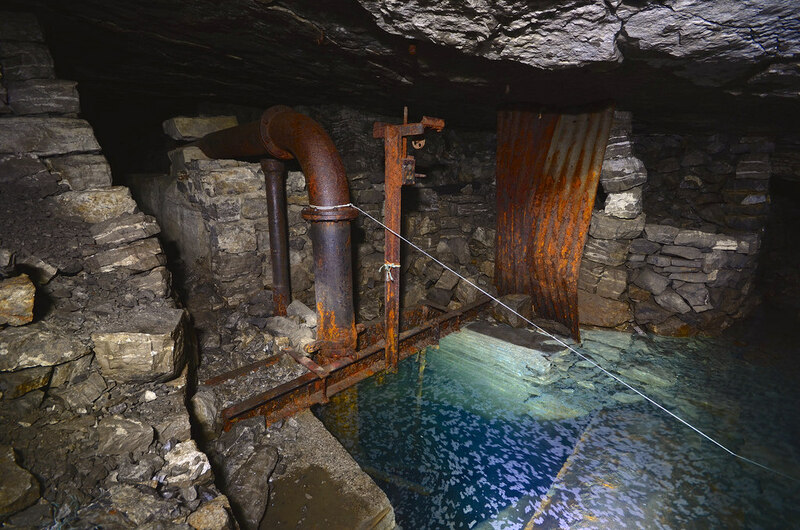 Between the two World Wars, mining broke out on the surface, enabling the chert to be quarried alongside limestone. In its later years Holme Bank met a considerable demand for poultry grit. 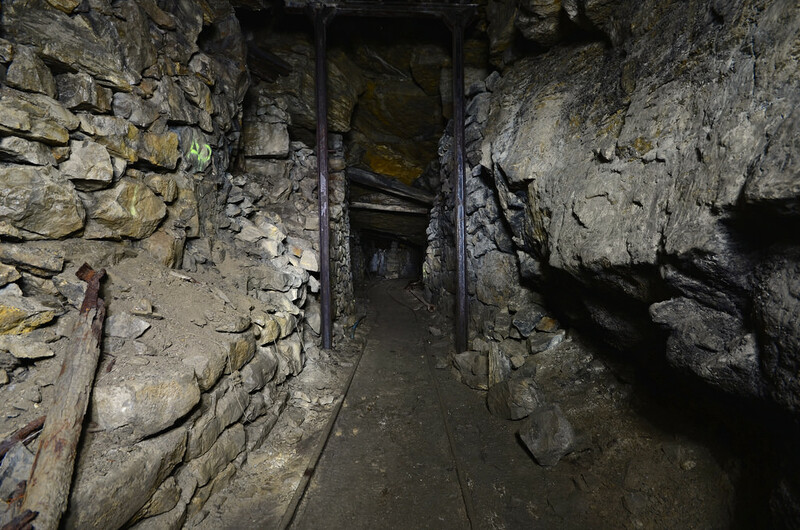 The mine closed between 1959 and 1961 but a block-making plant, trading as Smith’s Runners, remained in operation, using existing supplies of chert. 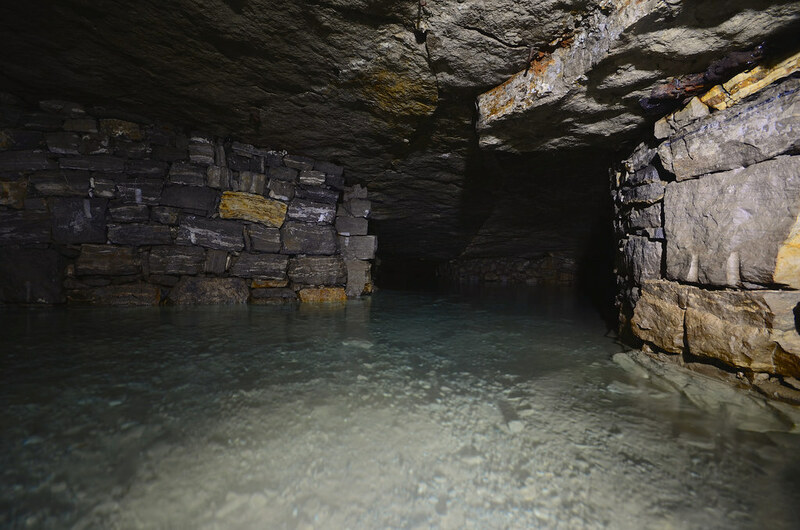 In recent years the few underground visitors to Holme Bank Mine have included cave divers, using the clear subterranean waters for training purposes. 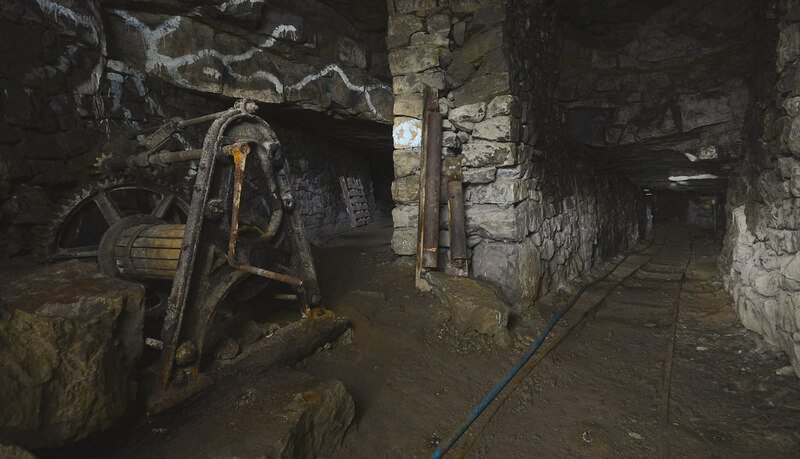 Almost 10 years ago the Peak Park Planning Board granted permission for the mine to be opened up to visitors but this plan has so far not materialised. What an awesome walk in mine! well documented via here and of course youtube via mine divers! This was just "I'll show you Holme quickly and we can pop back when we have more time" over 2 hours later we thought we best leave it so people weren't wondering where we had got to! This is lovely mate, nice photos too.